Human-wildlife conflict in the Kashmir Valley has shown a sharp increase in the last one-and-a-half decade. The major species in conflict with humans include the Asiatic Black Bear (Ursus thibetanus) and the Common Leopard (Panthera pardus fusca). 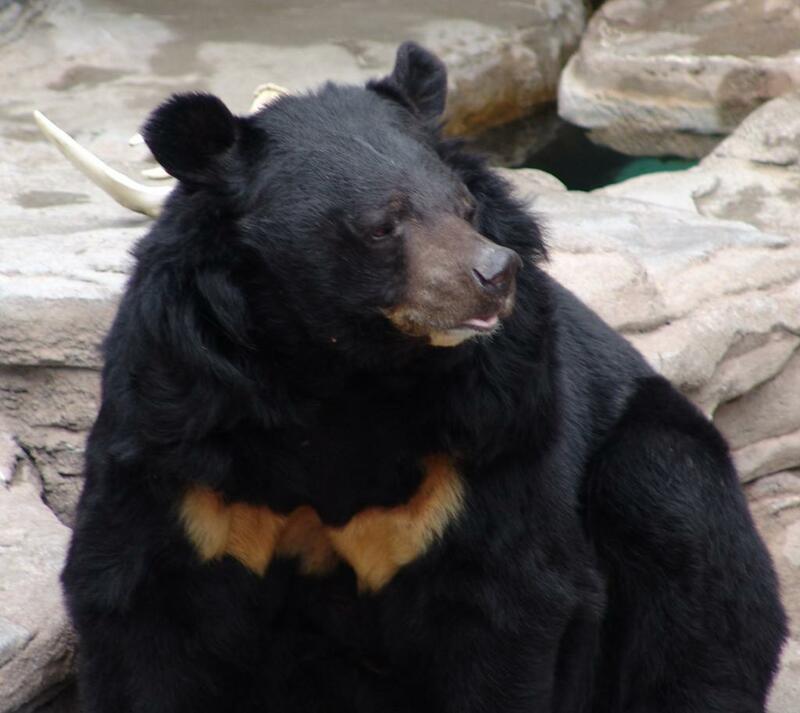 The Asiatic Black Bear is widely distributed in most forested areas of the Kashmir Valley. Approximately 25 per cent of forest divisions in the state of Jammu and Kashmir reported bear-human conflict and this is mainly within the Kashmir Valley. The conflict with the black bear has resulted into numerous human deaths and injuries. Injuries have generally been grievous and have often resulted in defacement of the victim. Such serious incidents have aggravated the anger of people against the wildlife department and the species in conflict. Due to increase in these instances of bear-human conflict in the state, peoples’ tolerance towards wildlife, especially bears, has declined substantially, rendering both humans and bears vulnerable. In the beginning, the state wildlife department was not capable of handling and addressing conflict incidents properly due to lack of experience and expertise, which was sometimes seen as negligence by people who were also unaware about such an issue. With the passage of time, the wildlife department started to learn from its experiences. It started capacity building of staff and acquiring relevant equipment to handle conflict animals. In the meantime, a study on human-wildlife conflict was conducted, which recommended certain actions to bring the conflict down (Choudhuryet al. 2008). According to this study, almost 90 per cent of the attacks occurred in daylight hours, with the majority occurring in agricultural areas (including orchards) and most of the bear attacks occurred during the time coinciding with the fruit harvesting season and ripening of corn. The wildlife department established control rooms working 24X7 at every district headquarter to tackle the increasing conflict. More teams were deputed around hotspots and were on high alert especially during high conflict periods. These steps have been successful in tackling the situation largely. Additionally, department has increased the exgratia and have made the disbursement of exgratia very quick and transparent. However the wildlife department, with a very limited staff, falls short of covering all the territorial divisions beside the Protected Areas (PAs). Moreover, there is still a large human population that does not want to co-operate and often plays a negative role while an operation is conducted. The increase in bear-human conflicts is contributed to the land use change around forests, habitat loss, degradation of habitats due to heavy livestock grazing and non-timber forest products (NTFP) collection, disturbance and fragmentation of habitats due to insurgency and developmental activities such as construction of dams, hydro-electric power projects. In some areas, kitchen waste of security force camps also attract black bears. Some people also suggest that the increase in conflict is due to increase in black bear population but there is no such data available. Black bear habitat loss is largely due to changes in the land use patterns from forests to horticulture or agriculture, rice paddies to orchards and unplanned plantation of Rubinea (wild banana) instead of fruit-bearing plants in and around forests and developmental projects.This has led to a mosaic of fragmented forests, human habitats and agriculture/horticulture lands which are used by bears to move between areas. Forest edges, which served as buffers for villages have now been encroached upon and turned into orchards which attracts species like bears. About 30 per cent of forest divisions, where black bears occur are under heavy to very heavy use by human populations. Livestock use in about 35 per cent forest divisions is high. Studies in the Dachigam National Park have indicated that the park, which holds the highest Asiatic black bear population density in the country, offers food for black bears throughout the year (Ahmad et al. 2005) and as such the bears need not move outside Dachigam. This is actually true for many other PAs in Kashmir which have a good black bear population but the least number of conflict incidents. It is apparently because the habitat quality is better in PAs and there is less encroachment of orchards around. The need is to improve the habitat quality by reducing the extract of NTFP and planting native fruit-bearing trees and shrubs, protect and improve the quality of buffer zones. The conflict can also be reduced through active participation of people of affected areas in resource management, timely and enhanced exgratia, education and awareness among people regarding the role of bears in nature and ways to avoid bears in the wild, villages or crop fields. There should be proper monitoring of bear-human conflict areas which may be possible by strengthening the manpower and their capacity, infrastructure and equipment.